By YOKO WAKATSUKI AND DANIEL SHANE CONTRIBUTED TO THIS REPORT. (CNN) - In the blink of an eye, Carlos Ghosn's jet-setting world fell apart. The 64-year-old auto executive's private jet landed in Tokyo on November 19, with Ghosn expecting a busy day of meetings at Nissan, the Japanese carmaker he saved from financial ruin. Instead, Ghosn walked right into the hands of Tokyo prosecutors who informed him he was under arrest on suspicion of financial crimes. Two months later, at the time of year when he would typically be preparing to attend the annual gathering of the global elite in the Swiss mountain resort of Davos, Ghosn is still in jail. He has been indicted on several charges, failed in repeated attempts to get bail and lost more than 20 pounds, according to his son. The renowned business leader, who until recently presided over three of the world's biggest automakers, has undergone weeks of lengthy interrogations without a lawyer present while being cut off from his family. Ghosn has protested his innocence, but only after a lengthy public silence, which experts say is common for suspects in Japan who often face obstacles communicating with the outside world. His experience has brought heightened international attention to the way people suspected of crimes are treated in Japan. "That system of hostage justice, I think, does not bear scrutiny," said Jeff Kingston, director of Asian studies at Temple University's Japan campus. If anyone has an idea of what Ghosn might be going through, it's Mark Karpeles. Like Ghosn, Karpeles is a French businessman in Japan who made a fortune, and then lost his freedom following accusations of financial misconduct. "I wouldn't want this on anyone," Karpeles told CNN. "Not my worst enemy, not even humanity's worst enemy." Karpeles is the former owner and CEO of Mt. Gox, which at one point was the largest bitcoin exchange in the world. But it all came to an abrupt end in early 2014, when nearly $500 million disappeared. The missing money plunged Mt. Gox into bankruptcy and left behind some 30,000 angry investors. Karpeles, 33, says hackers drained his company's virtual vaults, but Japanese police focused their investigation on him. He was arrested in 2015 and subsequently charged with embezzlement of around $3 million and breach of trust. The businessman kept detailed notes of his 11½ months in Japanese custody, which he describes as a "nightmare." He said that police interrogated him for 50-days straight without a single day off, and that he often considered pleading guilty, just to get the ordeal over with. "It's very tempting when you are not free and facing a system that every morning tells you just cooperate and everything will be simple," he told CNN. "To just go with the flow and say: okay, okay." Karpeles said he lost 77 pounds in custody. After the interrogation period came seven months in solitary confinement at a pre-trial detention center in Tokyo. He remembers every detail of his windowless 6-square-meter (65-square-foot) cell, which had tatami floors, a sink, a toilet, and a small table on which he kept his journal. Karpeles said he was forced to sit upright in a corner for some ten hours a day. If guards caught him slouching or napping, they would shout through the door. Once, when he failed to comply, he was taken to the padded "punishment room" where his hands were tied behind his back and he was kept on the floor for several hours. He was released on bail more than two years ago, but he says he's still adjusting to life on the outside. As an accused criminal in Japan, finding an apartment and a job have proven to be a struggle. He now works as chief technology officer for an American company. Because he's not allowed to leave Japan as his case moves through the legal system, he hasn't been able to see his ailing mother in France for six years. Closing arguments in Karpeles' trial ended last month. The verdict is expected in March, nearly four years after his arrest. He continues to insist he's innocent. Ghosn has also repeatedly professed his innocence. He has been fired from Nissan and Mitsubishi Motors, and his days at the helm of Renault appear to be numbered. In the two months since his surprise arrest, Ghosn has been held in pre-trial detention. Before his indictments, he was subjected to up to eight hours of daily interrogation without his attorneys present. He has been repeatedly denied bail on a growing list of charges, including understating some $80 million in income and aggravated breach of trust for briefly transferring his own investment losses to Nissan in 2008 at the height of the global financial crisis. 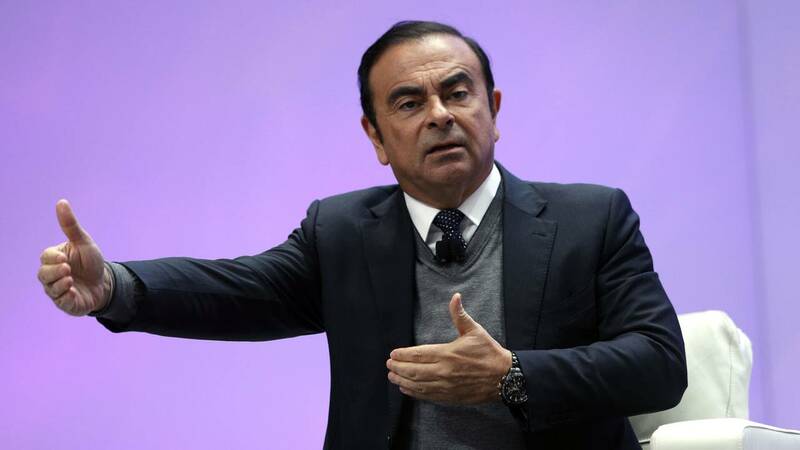 In a court appearance this month, Ghosn denounced the allegations as unsubstantiated, saying he had been wrongly accused. Ghosn's own lawyer has acknowledged his client could be detained for as long as a year as he awaits trial. While Ghosn's resolve to defend himself has remained strong, according to his lawyer, he has found himself in a high-stakes game of legal poker with Tokyo prosecutors. Critics say their goal appears to be to wear him down psychologically to the point where he signs a confession. Ghosn's wife, Carole, wrote a nine-page letter to the Tokyo branch of Human Rights Watch slamming the Japanese justice system as "draconian." "No human being should be detained under conditions so harsh that their only plausible purpose is to coerce a confession," she wrote. "For hours each day, the prosecutors interrogate him, browbeat him, lecture him, and berate him, outside the presence of his attorneys, in an effort to extract a confession," she added. As he waits for trial, Ghosn is likely to face similar conditions to Karpeles: months of confinement with very limited access to other human beings. What's more, the odds are against him. Legal experts say more than 99% of people charged with a crime in Japan are eventually found guilty. Those inside the Japanese legal system note that Ghosn is being treated just like any other suspect. "All this criticism is based on misunderstanding, I think," said Shuji Yamaguchi, a partner at Tokyo-based law firm Okabe & Yamaguchi. "Our system is quite modernized, however there are some people who believe differently." The system keeps people safe, according to Yamaguchi, who points to Japan's low crime rates. "I understand the criticism. But I want to say our system ... is supported by most Japanese people," he said. "And still the crime rate is going down every year, so I think our system works very well." Shin Kukimoto, a deputy public prosecutor in Tokyo, defended his office's handling of the Ghosn investigation at a news conference last week. "We are the institution to execute the law and not the ones who design the legal system," he said. "The investigation and interrogation are conducted appropriately in accordance with the law." Prosecutors "never conduct the investigation with certain goals in mind," Kukimoto said, insisting they wouldn't delay the legal process in order to "prolong the detention to harass the suspects." When asked about suspects' conditions in detention, Kukimoto said, "We believe they are treated fairly." Ghosn could face up to 15 years in prison if he's eventually found guilty on all charges. "Every country has its own background, history and culture," Kukimoto, said at a news conference about Ghosn's case in November. "I wonder if it is fair to criticize [Japan's justice system] because it is different from their own countries."